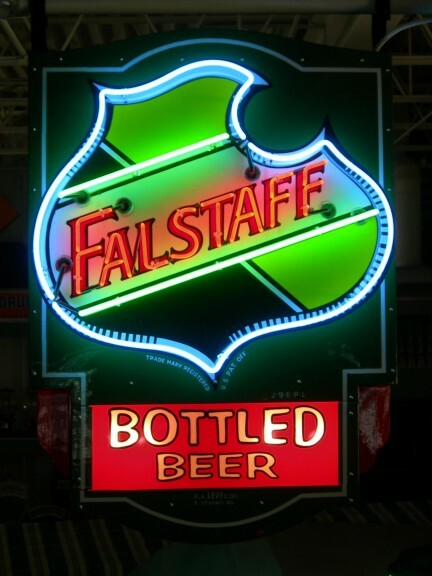 description: Falstaff double sided porcelain neon sign with lighted ad window at the bottom featuring "Bottled Beer", which is lit by incandescent bulbs. Art deco wings flanking the ad panel. information: This beautifully restored sign used to hang off the side door of a bar, advertising that they sold Falstaff inside. The bottom ad window could display a number of things, many times displaying the name of the establishment or product offered.